Just popping in to let you know of some upcoming events! The August Writing Prompts Calendar will be out by Monday morning. My mind is on curriculum planning and I forgot August started today – duh! My apologies. 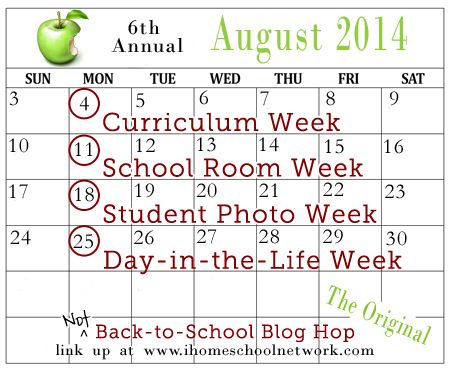 Monday also kicks off the 6th Annual Not Back-to-School Blog Hop with Curriculum Week. I love browsing through all of your lists. The linky will be live on the iHomeschool Network right after midnight on Sunday. I will have a direct link to the hop in my post that is going out at the same time, so swing back by if you need it. I am bringing you a new subscriber goody next week! Thanks to all of the amazing bundle sales over the past year, my computer files are brimming with ebooks. Some are not applicable to me, and some I already owned, so I am starting a weekly giveaway until they are gone. I’m only opening these giveaways up to my email subscribers. The entry form will be at the bottom of all the emails (and it’s a simple entry – no jumping through hoops). Not a subscriber? Sign up today! 28 bloggers are participating in this year’s iHomeschool Network Back-to-Homeschool Gift Basket Giveaway. We want to help you start the school year with a smile on your face! One of my family’s favorite things to do is explore the nature that is right around us. 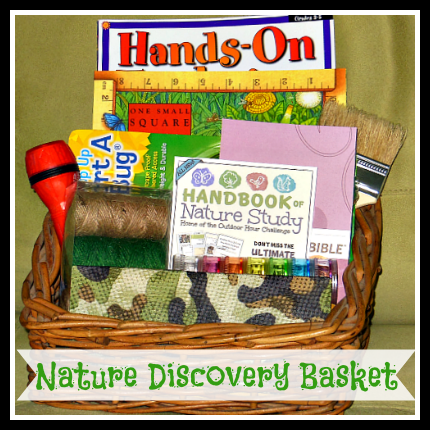 I am giving away a Nature Discovery Basket that contains all you need to start nature study right in your own backyard. 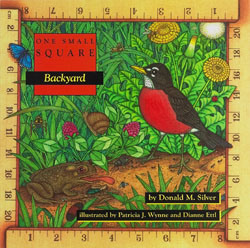 One Small Square: Backyard – Use your senses to explore one small square at a time. This is one of our favorite series! 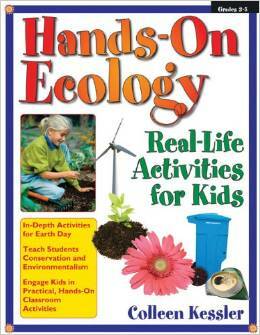 Hands-On Ecology – Creating a family ecology toolkit and mini ecosystems are among the many activities in this book. 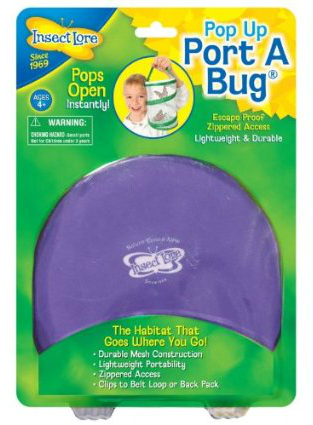 Pop-Up Port-a-Bug – This portable habitat lets you get a closer look at little critters. 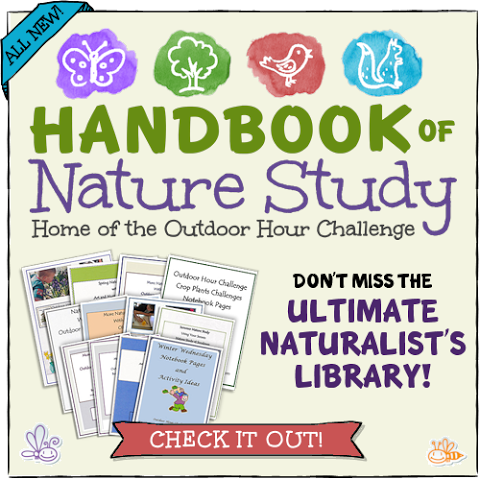 Ultimate Naturalist’s Library Membership – I’m sure most of you are familiar with the Handbook of Nature Study’s Outdoor Challenges, and will share my excitement over this! 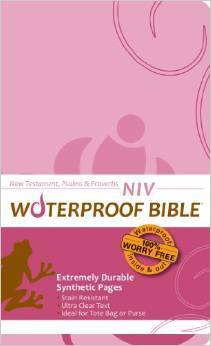 I will choose a winner on Friday, August 8th. Click on the button below to enter!! Givaway closed — winner to be announced this weekend!! Visit the rest of the iHN Back-to-Homeschool Giveaways for 27 more chances to win!